I thought that it was about time that I posted a nail varnish blog post! I decided to do a ‘My Top 5 Essie Polishes’ post, as I love the formulas and the pigmentation of this brand! Although Essie nail polishes are a little steep at £7.99 each, I definitely feel that they are well worth the money – especially when they are 3 for 2 at Boots (the only time that I get them!). They definitely give you quality, lasting power and reliable colours! They have so many shades, completely different to one another and even the in-betweens, so there’s always a shade for somebody. 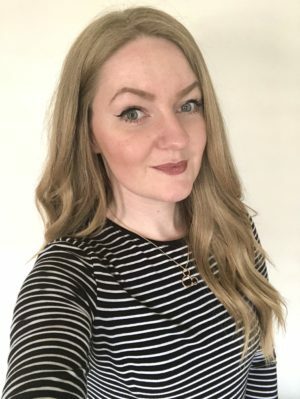 I decided to swatch them onto some nail wheels and used my Aputure Ring Light to produce natural lighting – I wanted to achieve their natural colours for you! Neo-Whimsical is a really gorgeous and feminine light pink, it’s almost a strawberry milkshake pink even! I definitely love this when I’m not quite feeling like I’m ready for vibrant nails. I actually picked this one up from Fragrance Direct for £1.99! So I’d definitely say to go and check out their website, as they’re always changing the colours available on there. In Stitches is a warm dusty rose colour, with some orange in it. In some lights, it even looks light an dusty rose/brown colour. I love this one, but I definitely have to been in the mood for it as it’s not too ‘stand out’ or neutral! Bahama Mama was a surprise. I have heard so many bloggers and YouTubers rave about this shade, so I thought that I would give it a go! I didn’t expect it to come out as dark as it did, as it is a very deep raspberry shade. It comes out lighter and more of a vibrant shade with one coat, but I find that I have to apply another coat to make it even, without streaks! I still really love this colour though, it’s gorgeous! Mint Candy Apple* is another raved about shade. 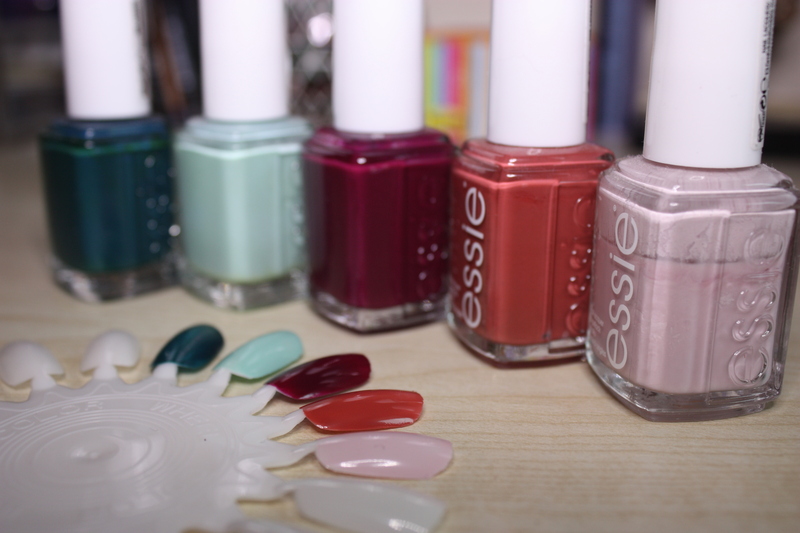 I won a Twitter competition from Essie and they very kindly sent me 5 polishes from their summer collection 2013. This was in it and when I first tried it, I thought it was slightly too sickly mint for me – but I have recently been wearing this non stop! It’s just the most beautiful mint colour, especially great for spring/summer! Go Overboard is another off one. It’s a very ‘you’ve got to be in the mood for it’ type of nail polish – does anyone else get that, or just me? Anyway, when I am in the mood for it, I think that it is a beautiful dark teal colour. Yet again, it wasn’t what I expected to come out of the bottle, as it does go a lot darker with two coats but I still love this one! I love Essie too! Your Mint Candy Apple looks really pretty! 🙂 They’re also cheaper at TKMaxx but it’s harder to find the right shade! Hi! I love your blog, so I’ve nominated you for the Liebster award. Check it out on my blog.